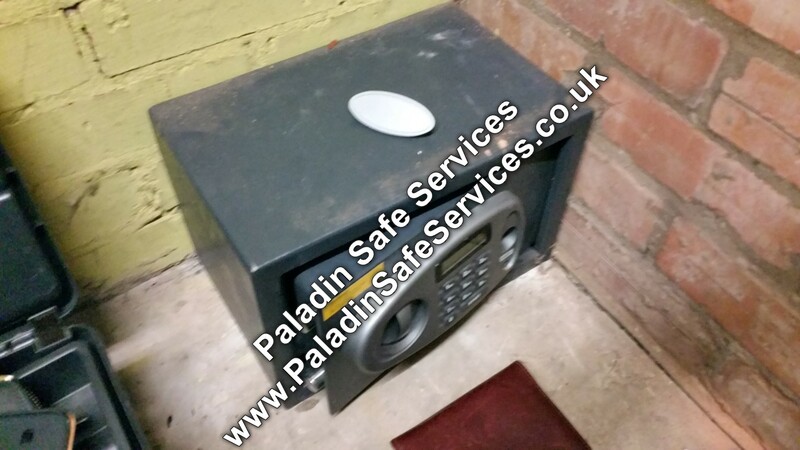 Emergency call out today to a pharmacy in Liverpool as they could not open this B&Q safe. There was only one key available to the safe which upon inspection had a broken key bit which was the cause of the issue. We opened the door none destructively only to have the door nearly fall on us as the top hinge had broken. You can see the drag marks at the bottom of the door showing that this has been like this for quite some time. 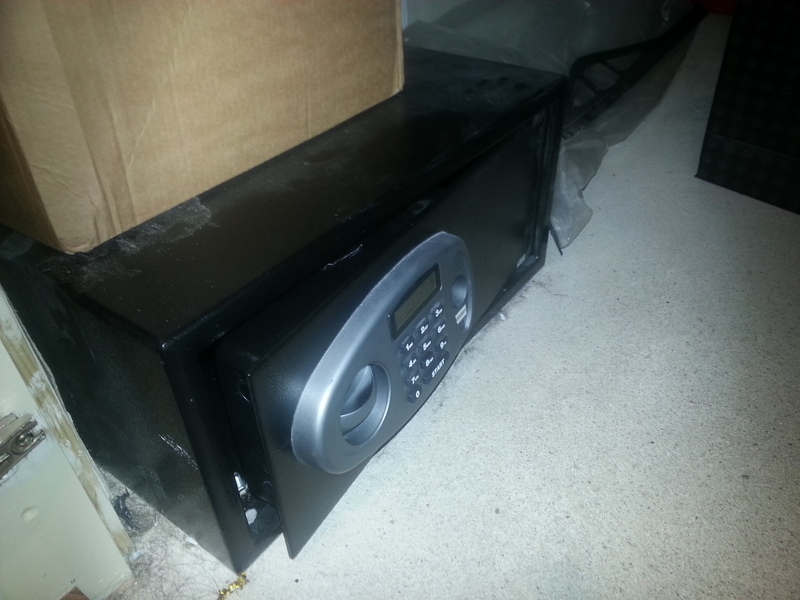 Given the low value of the safe we advised that it was beyond economical repair and a replacement should be purchased. The electronics on this B&Q safe had failed and the owner was just using the override key until it got lost. With a plane to catch and the passports safely locked in it we were asked to attend the private residence in Manchester to get it open. Once on site we quickly picked the lock open and locked the safe open so that it couldn’t accidentally be locked shut again. The owner was in the process of moving home and believed the key would be found so did not require us to replace the lock. The batteries in this Yale digital safe at a hair salon in Manchester had fallen out and the owners had lost the override key. 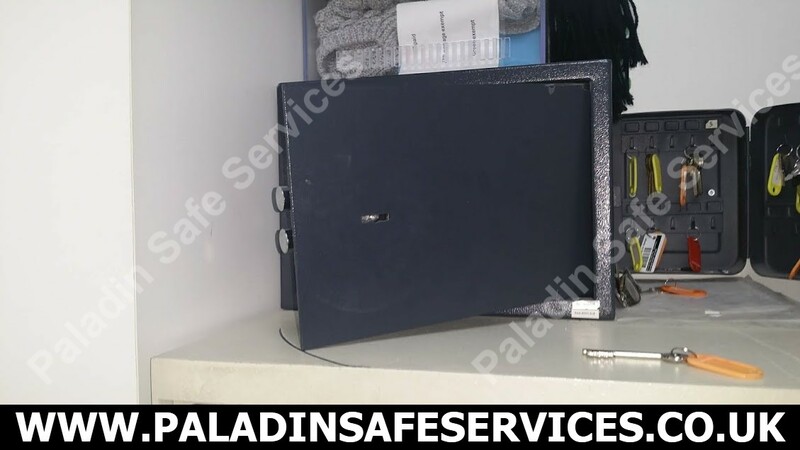 This had happened several times previously and was getting expensive for them to keep calling a locksmith to open it as each time they were told that they could not have a key provided to them for the emergency override lock. 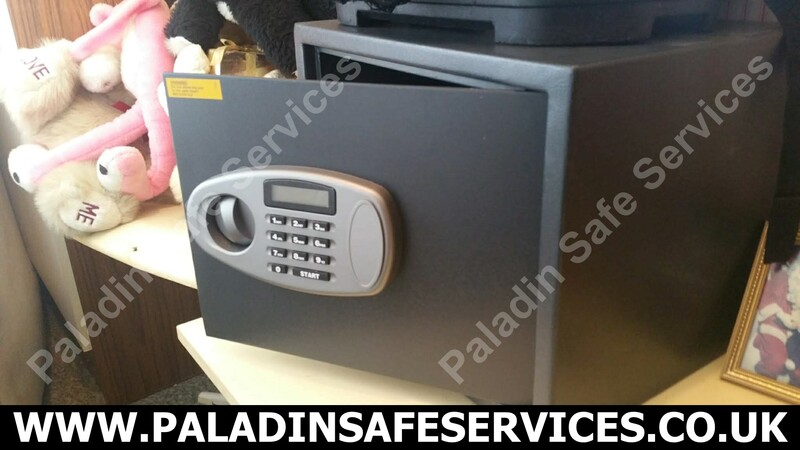 We attended the job, opened the safe and provided them with two new keys in case the batteries ever fall out or go flat again.